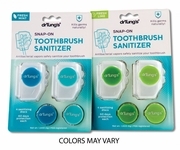 -Keeps your Toothbrush Hygienic and Fresh! Directions for use: After brushing your teeth, rinse toothbrush, shake off excess water and place inside the sanitizer device. The germ defense system goes to work immediately. Rinse toothbrush before use. Replace the device every 2 months and discard the old one. 100% natural disinfecting vapors. Contains one or more of the folowing: Cinnamon oil, clove oil, peppermint oil, tea tree oil, thyme oil. Snap-on Toothbrush Sanitizer Fits most manual and power toothbrushes. How it works: Research reveals that toothbrushes harbor a host of harmful bacteria that can re-infect your mouth when you brush. 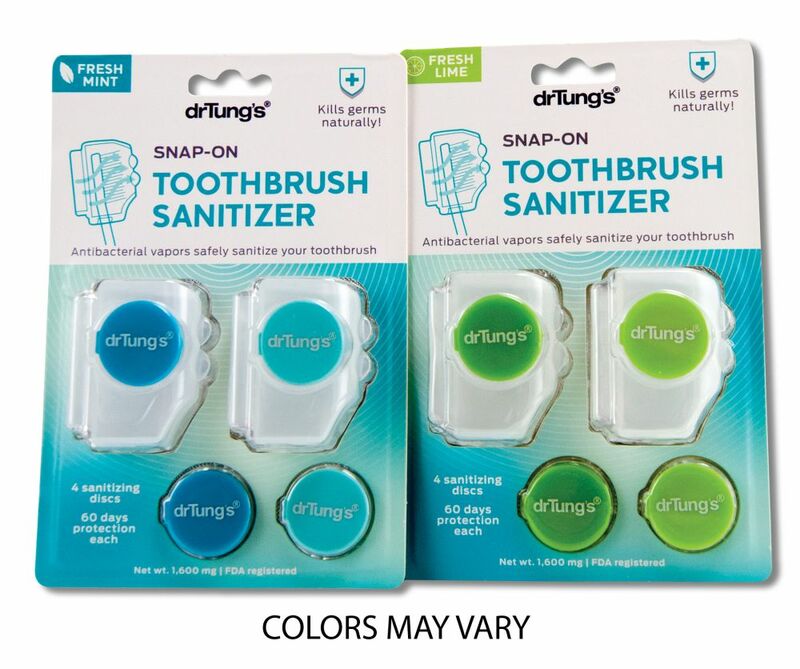 Granules is a uniquely designed compartment - treated with special essential oils - release disinfecting vapors to kill germs and effectively neutralize bacterial growth on your toothbrush. A clean, safe, hygienic toothbrush helps protect your mouth from infection.